“I’ve always had an entrepreneurial spirit. I wanted to work with like-minded attorneys who truly wanted to help people that have been harmed. I wanted to take the cases I found inspiring. And I wanted to grow a law firm in a successful and philanthropic way, where we could do well and also make our community better. To hit these goals, I knew the best bet was to create my own firm and carve my own path,” says Dave Fox, Founder of Fox Law, APC. The core team at Fox Law includes experienced trial attorneys Joanna Fox (Fox’s wife), Chris Hendricks, Courtney Vasquez, Of Counsel Russ Gold, and paralegals Corinne Britt and Anne Brennan. All of Fox Law’s attorneys have successfully first- or second-chaired trials to verdict. Fox honed his trial practice as a federal prosecutor at the United States Attorney’s Office in San Diego. Fox says that unlike many plaintiffs firms, Fox Law’s attorneys were all trained at some of the best ‘big firms,’ including Morrison & Foerster, DLA, Cooley LLP, and Luce Forward. “We each made the decision to switch from these large defense firms to focus on fighting for everyday people who have been harmed by corporations, insurance companies, and individuals that abuse their power. Essentially, we’ve trained with the big guys to better represent the little guys,” Fox says. Notably, Fox’s first plaintiffs-side wrongful death trial was an automobile accident case against his old colleagues at the United States Attorney’s Office. Fox prevailed in a long and hard-fought trial, and ultimately obtained $5 million for the family of a deceased Navy veteran. Fox credits three factors for his firm’s prominent position in the personal injury arena. First, they attack each case for their personal injury clients with the same tenacity, attention to detail, and resources they brought when representing Fortune 500 companies and the United States Department of Justice. Second, passion. They put their egos aside, truly listen to their clients, and put their heart and soul into counseling their clients through one of the most difficult times of their lives. And third, focus. They’re not a “mill” and take a limited amount of serious cases so they can give plenty of time and attention to each client. With this approach, in just the past few years, Fox Law has recovered more than $75 million in verdicts and settlements. “We entered this business because we wanted to make a bigger change in peoples’ lives. You can’t do that by ‘flipping’ whatever insurance policy shows up and settling cases cheap. We meticulously investigate and pursue every theory of liability and avenue for recovery before reaching any type of resolution,” Fox says. The firm’s typical clients are individuals who are seriously harmed by the negligence of another person or corporation, and are suffering major injuries that will affect them for the rest of their lives. Through their growing mass tort and class action practice, Fox Law’s attorneys represent people who have been defrauded as consumers, harmed by a defective drug or medical device, or have lost their home or business due to a wildfire caused by a negligent utility company. Joanna Fox, who joined Fox Law after nearly a decade at Morrison & Foerster, brings an exceptional depth of litigation and trial experience from her background working on wrongful death aviation and product liability cases across the country. Chris Hendricks, who joined from Herold & Sager, brings over a decade of experience in and out of trial for and against public entities and the country’s largest insurance carriers. Courtney Vasquez comes from DLA Piper with a substantial trial history in products liability cases, and a deep understanding of mass torts and class action litigation. Russ Gold, formerly a partner at Luce Forward, offers over twenty years of experience trying and litigating major personal injury and complex disputes. 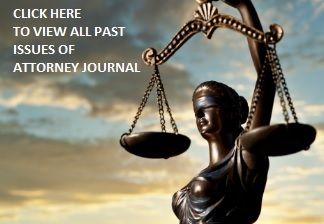 Due in part to their background in complex multimillion-dollar cases, courts in Los Angeles, San Francisco, and Sacramento have appointed Fox Law’s attorneys to various Plaintiffs’ Steering and Executive leadership committees to help guide JCCP litigations involving billions of dollars on behalf of thousands of plaintiffs. Fox says that often important and game changing information is available to those who “turn over every stone” in the investigation. Fox recalls a case he handled involving a pedestrian/college student who was struck and killed late on a Friday night by a drunk driver. The driver had left a bar for his home, and blew through a stop sign going twice the speed limit in his personal car. He had minimal assets and insurance. The driver went to prison for several years. The student’s parents were devastated. The Fox Law team dug well beyond the police report, and personally interviewed every person close to the driver and the victim to understand what was really going on that evening. They found the driver could be considered to have been in the “course and scope” of his work at the time of the crash, and that his company could also share some blame for encouraging an environment that loosely mixed work and alcohol. Fox filed a wrongful death case and pursued these theories for more than two years. They deposed the defendant in prison, everyone near the defendant at the bar, his co-workers, people familiar with his car usage, and other witnesses. After fiercely litigating the case, Fox Law obtained for them $5 million for the family on the eve of trial. This was a case that may have been otherwise passed over or “flipped” by a firm that takes on a high volume of cases or doesn’t dive that deep into a case. “We entered this line of work to make big changes in our clients’ lives. You can’t do that by taking whatever money or insurance proceeds are first offered to the client—you have a duty to really dig into every case.” Fox says. The firm went beyond the courtroom and persuaded city council members to put in new lighted stop signs at the intersection. “My relationship with these clients and the drunk driving component also inspired me to be a primary sponsor of Mothers Against Drunk Driving (MADD), and I’ve had the pleasure to Chair their San Diego Advisory Board for the past three years,” Fox says. Aside from personal injury trial work, Fox says he hopes the firm’s work on mass torts and class actions will also make a difference. For example, Fox Law currently represents more than 1,500 individuals, businesses, avocado farmers, and wineries that were devastated by California’s wildfires ignited by PG&E in the North Bay, and Southern California Edison (SCE) around Los Angeles, Ventura and Santa Barbara counties. Fox hopes their work and leadership in these cases will help their clients restore their homes and businesses, while at the same time create fire safety changes to California’s electrical infrastructure. Years later, as a federal prosecutor himself, he prosecuted cases involving weapons trafficking, organized crime, and public corruption, including a high-profile five-week trial against corrupt United States Border Patrol agents. After trying over a dozen cases for the United States, he ultimately discovered that he did not want to spend his life putting people in jail. Instead, he wanted to help victims get back on their feet. The firm’s approach has not only brought successful outcomes for clients, but has also attracted the attention of other law firms. Now, the majority of the firm’s cases are referred from other attorneys that either do a different type of work or are looking for their expertise, resources, and infrastructure for their own personal injury or mass tort case. Fox Law also prides itself on thanking those attorneys with generous referral fees for trusting the firm to help their family, friends and colleagues. He cites a recent case where the firm represented a 65-year-old woman who slipped and fell at a chain super market. The fall aggravated her severe pre-existing shoulder arthritis and led to a shoulder replacement. Juries do not generally receive slip and fall cases well and greet them with skepticism, particularly when there are pre-existing medical issues. Fox and Hendricks took the case to trial arguing that the exacerbation had a larger impact on the woman’s everyday life than met the eye. They obtained a verdict of more than $1.43 million dollars. Fox Law is very active in the community. Since its inception the firm has hosted an annual end-of-summer fundraiser on the deck of the Del Mar Plaza for a different charity or non-profit. They’ve raised thousands of dollars for MADD, Boys and Girls Clubs, and local animal shelters. Attorneys and colleagues have enjoyed the sunset ocean view, live music, food and drinks from Il Fornaio, and great raffle prizes from local hotels and spas. Fox says, “If your business has done well in your community, I feel it has the responsibility to then do good by it.” For its October 10, 2019 fundraiser, the firm is looking forward to partnering with organizations dedicated to helping human trafficking survivors (Free to Thrive), and the advancement of LGBTQ rights (Tom Homann Law Association). That blend of philanthropy and tenacious client representation will continue to be the foundation of the firm. “Our personal injury cases are always exciting, and I am also very enthusiastic about our mass torts and consumer class actions practices, both of which have really taken off in the past couple of years. I see the firm continuing to grow and succeed by making positive changes in more people’s lives. “I definitely don’t feel any need to be the biggest firm on the block, just the one that always delivers the best results and experience for its clients” Fox says.